A silent screen star who was once married to Rudolph Valentino. 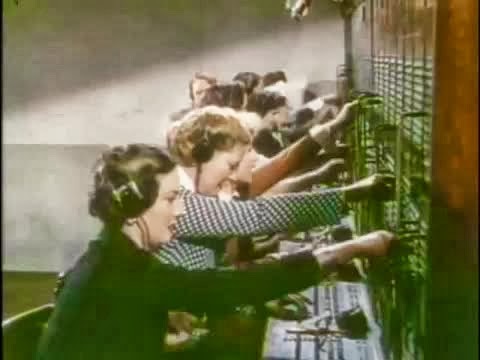 Jean Acker is one of these switchboard operators, possibly the one nearest to the camera. The film is about a silent screen star and included many real stars from that era.